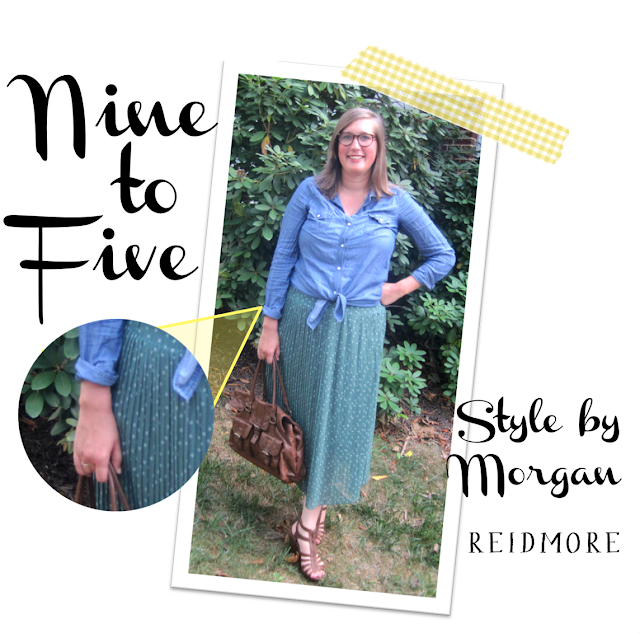 For this week's Nine to Five, we have the lovely Morgan Reidmore. Her fabulous blog is full of gorgeous colors, ideas and photos. 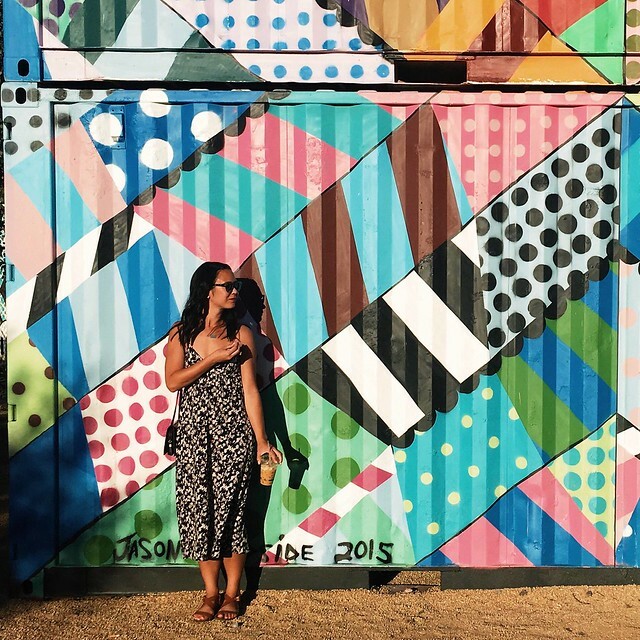 Girl has some great style (we share a love of J.Crew like she posted here) and her top 5 lists are great summations of what's been going on in her life lately. Make sure you head over to Shannon's blog to find out more about Morgan and her nine to five style! I absolutely adore her sandals; I've discussed my love of wedges, and these guys are an excellent price! 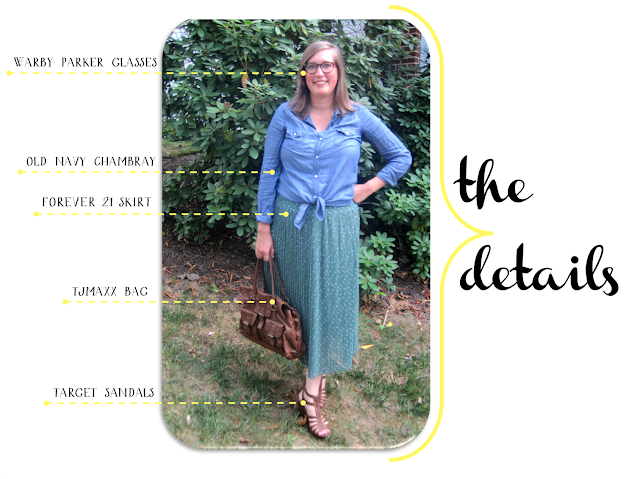 Morgan is easy and breezy for summer, while still looking professional and stylish. The polka dots add a fun touch to her flowy skirt. 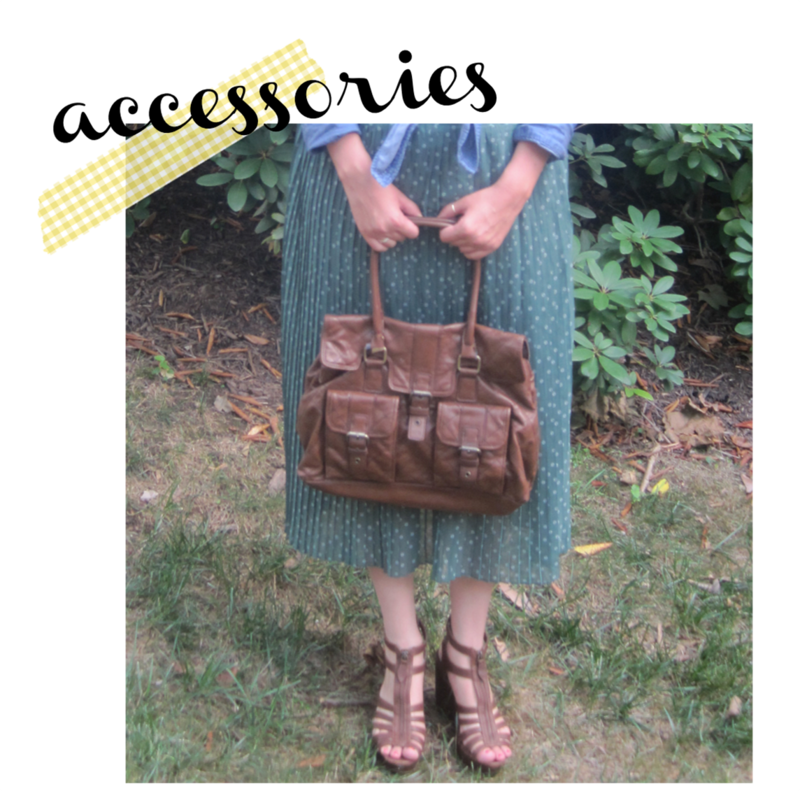 How are you accessorizing this summer? I love this feature. The skirt & chambray look wonderfully light & airy, which I could use right now due to a very sore & awkward sunburn on my legs! How cute is she? Love those sweet little sandals and that gorgeous bag she's sporting! Love the whole outfit! Especially that skirt!